Platter boxes and grazing tables. 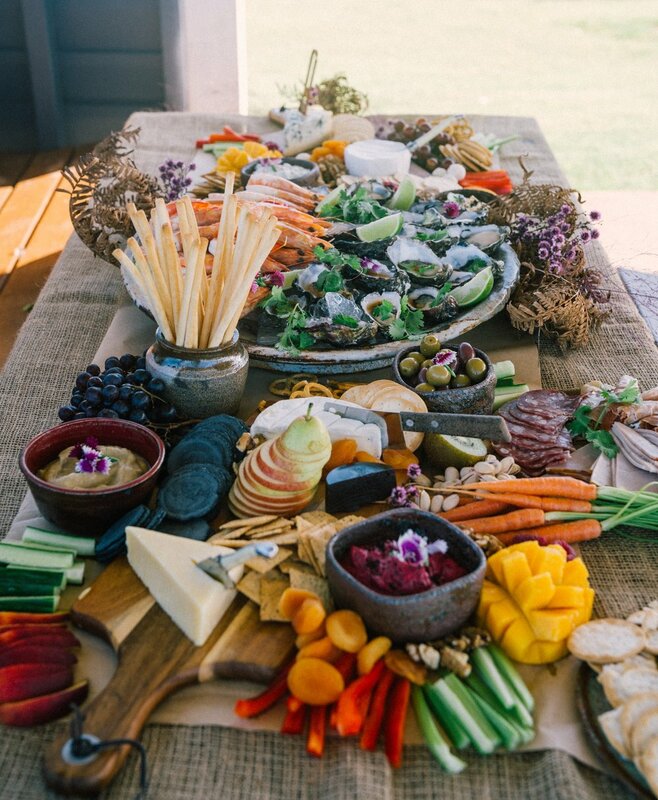 Whether it is a romantic picnic for two, or a grazing table for 100, we can create a custom made spread designed especially for you. 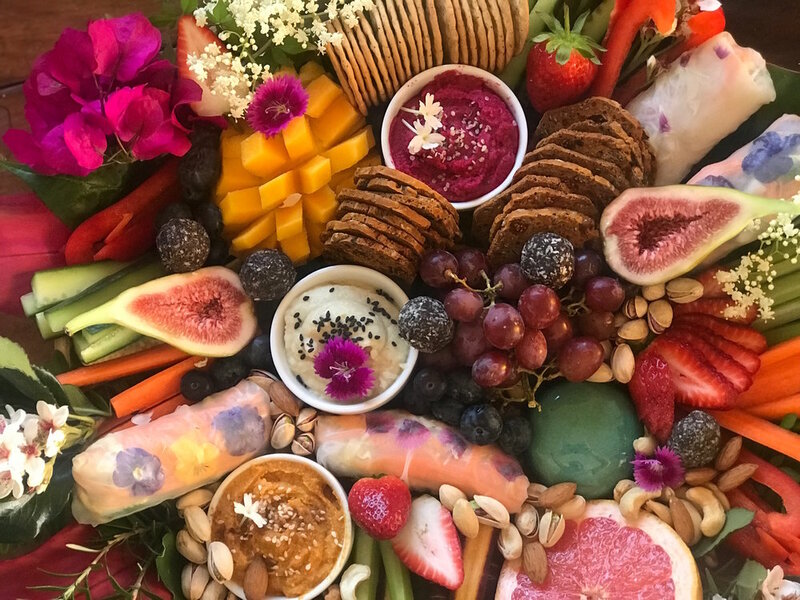 Starting with our house made dips and adding local gourmet cheeses, cold meats, vegetable crudités, seasonal fresh and dried fruit, crackers, breads and chocolate. We can cater to any dietary requirements. ( Our vegan platters are legendary! ) We either deliver to you in platter boxes or set up at your location, decorating with fresh flowers and foliage to suit your tastes and colour palette.